A simple but powerful message. The video is from the same guy that brought us Tactical Magic and The Future Of California Firearm Control. Glad to see he’s back. Unless i’m out of touch, things haven’t gotten that bad in any of the storm-struck regions, have they? Maybe i should be more concerned about some of my family in North Jersey? It was posted on the 6th so i guess its a post sandy thing. Was this in response to the rumors of planned riots if Romney won? My guess is it’s in response to the threats if Romney won, as Jake said. I think I read it on The Blaze, but at least one guy said he was going to go rob walmart and stock up on food before Romney could get rid of food stamps. I forgot to mention, great vid. The only thing I didn’t like was ejecting the live shotgun rounds out of the shotgun. Otherwise perfect. I’m glad I wasn’t the only one to notice that part. 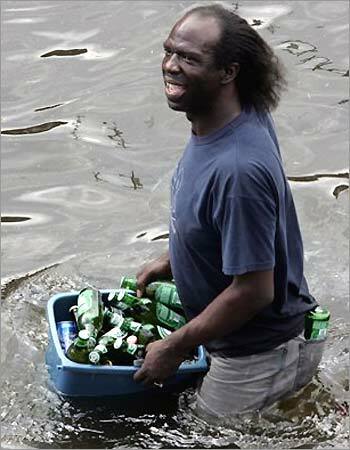 Have you guys seen the looting going on after Sandy? Idiots are sharing pictures of their “spoils” on social media. Exactly…Nothing like the sound of racking my 870 to make a bad guy jump out the nearest window. “…this isn’t England”. Amen, brother! Why no rioting during Sandy? Hoods know that America has re-armed itself….and we will shoot to kill.